We now have the ability to carry out windscreen stone chip repairs. 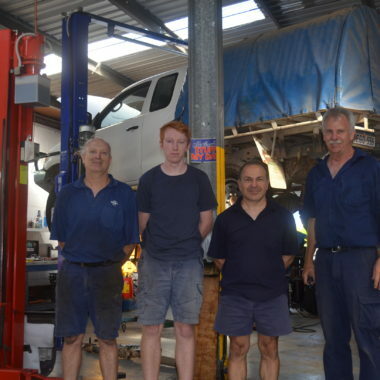 See Breeze Motors is a locally owned and operated Automotive Servicing and Repair workshop located in the Yamba Industrial Estate. 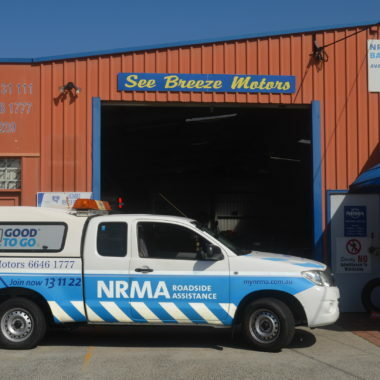 We also cater for all your NRMA Membership and Insurance needs in the Lower Clarence area through our Agencies in Coldstream Street, Yamba and Palace Arcade, River Street, Maclean. Our workshop is open for all your car servicing and maintenance needs. We perform Manufacturer’s Logbook and General Servicing, brakes, exhaust and cooling system repairs and pre-purchase inspections on second hand vehicles. Rego Inspections including LPG vehicles and Windscreen chip repairs, tyres and batteries are also provided. Our workshop is fully equipped and staffed with experienced mechanics, providing quality workmanship at a competitive price. We are Yamba’s only licensed LPG vehicle Registration Inspection Station. We can also help you with your battery requirements with a range of batteries with from a 1 to 3 year warranty. So don’t get caught out, come in for a complimentary battery and charging system health check and avoid getting stranded. Call See Breeze Motors on (02) 6646 1777 or drop in to see them at 8 Favourite Ave in the Yamba Industrial Estate next to Ben’s Marine. For all your Insurance and Membership needs, drop in to see our friendly and experienced insurance consultants who can help you tailor your insurance policies to best suit your individual needs and budget and ensure you are not paying more than you need to. Our offices are conveniently located in the Yamba and Maclean CBD’s and we are looking forward to serving you…. A common misconception with a new car is that you need to have your new car serviced by your dealer to maintain statutory warranty. Here are the facts about your new car’s statutory warranty. • A See Breeze Motors service will NOT void your statutory warranty. • A See Breeze Motors service strictly follows all the procedures recommended by your vehicles manufacturer. • It’s your car and you DO have a choice. • Once your service is complete, our qualified technicians will stamp your vehicle’s handbook as a record of regular maintenance. This can be very important when it comes to achieving a higher resale value for your car. Locked your keys in the car, got a flat tyre or battery, run out of fuel or broken down? Call 13 11 11 for NRMA’s legendary 24/7 Roadside assistance. The natural vibration of your car in motion, as well as environmental elements means that windscreen chips will inevitably turn into large cracks. Your windscreen should be repaired as soon as possible to avoid this. All your insurance policy needs and requirements, don’t hesitate to drop in and see our friendly staff at 1/25 Coldstream Street in Yamba (Ph 6646 1777) or at Shop 5 in the Palace Arcade in River Street, Maclean (Ph 6645 2233). We can ensure your policy is tailored to suit your individual needs and give you the best LOCAL quote! 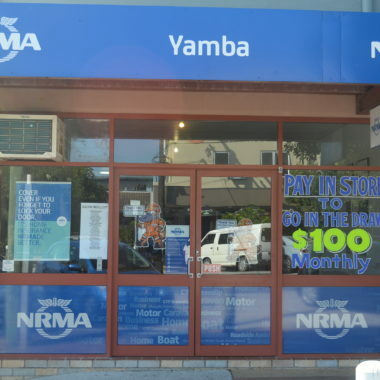 Keep your NRMA business local and drop in to see us. intensive experience in servicing cars.